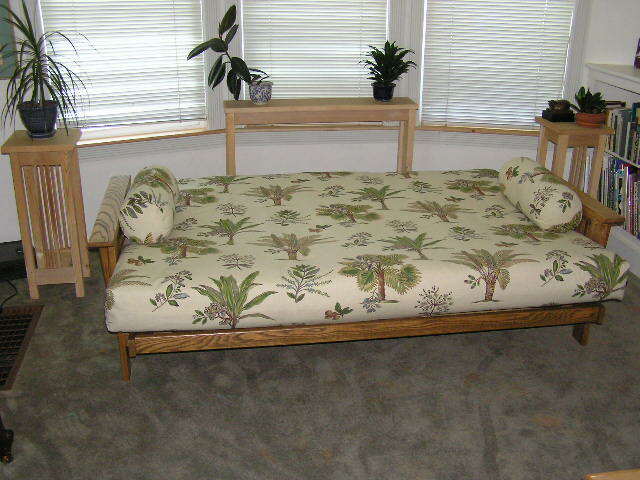 Mission-Style futon/couch: I got the plans for this project online from Rockler. 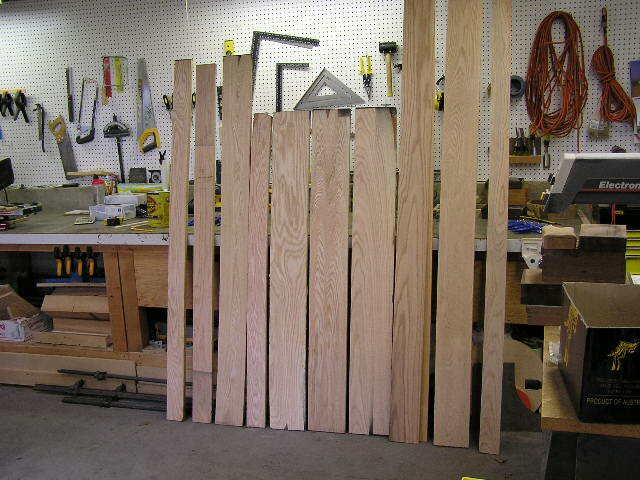 All components are red oak, most from the seconds pile at the local Windsor Plywood. 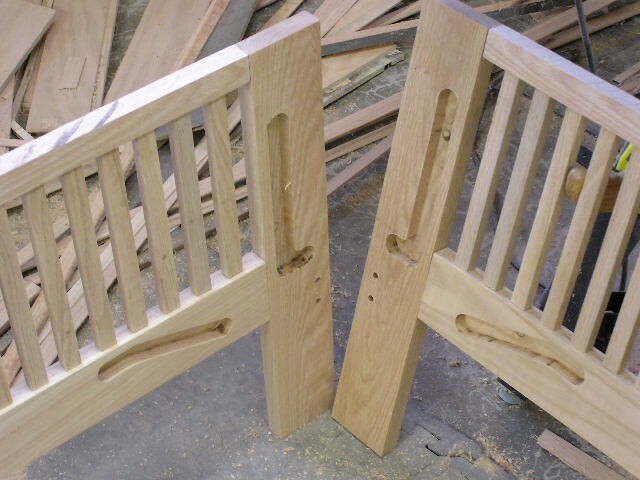 The plans called for installing the spindles in the leg structures by cutting a 1/8" deep groove in the rails, then toenailing each spindle into the groove. 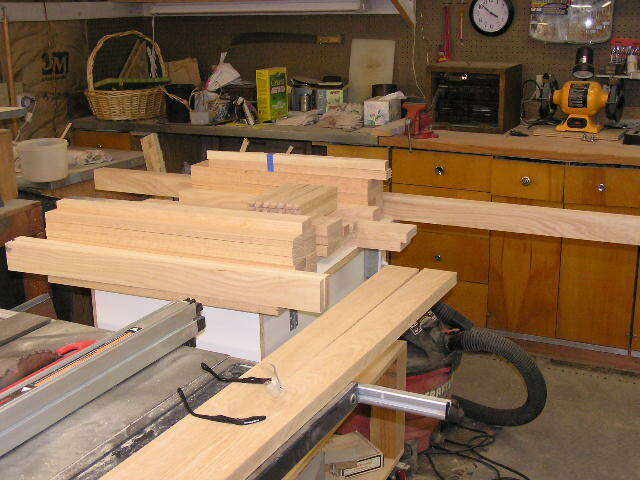 I opted instead to tenon the spindles and mortise the rails. 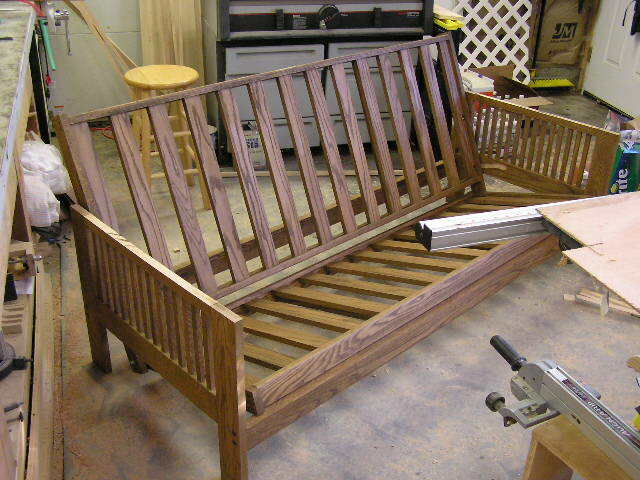 Plans also called for nailing the slats in the back and seats. 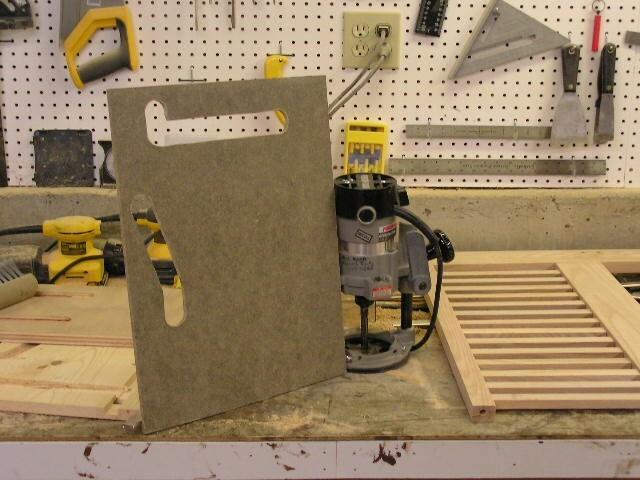 Instead of that I used pocket-hole joinery. 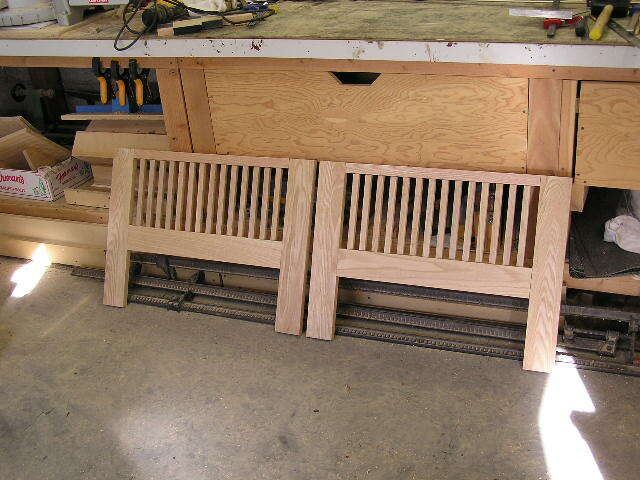 Plans called for joining the leg structures (rails and stiles) with dowels. 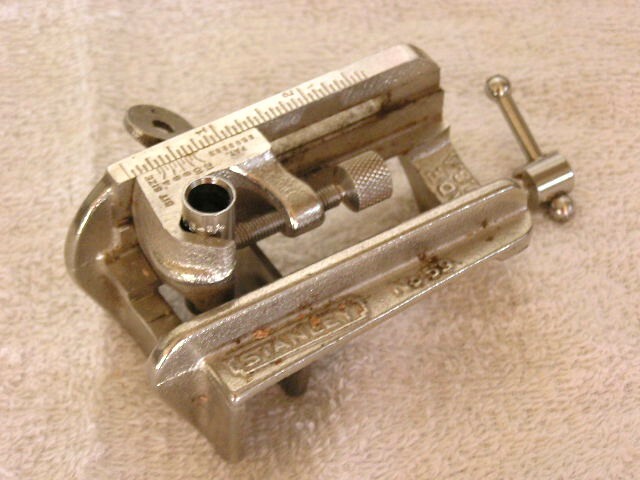 For that I used a Stanley #59 doweling jig (which I had never used before - very nice tool). 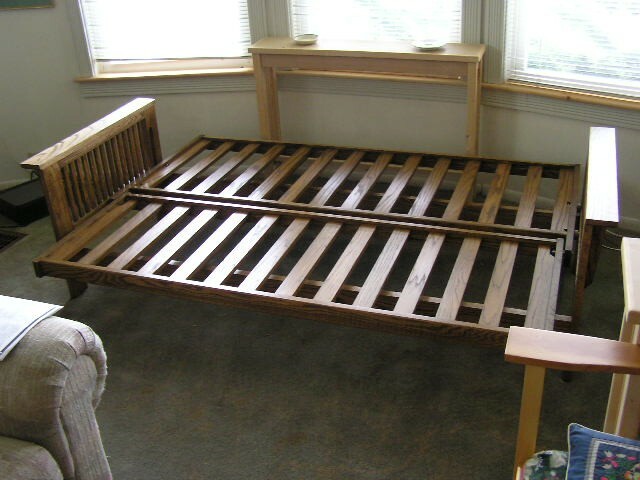 Tracks had to be made to receive the rollers which would enable the couch to become a bed. 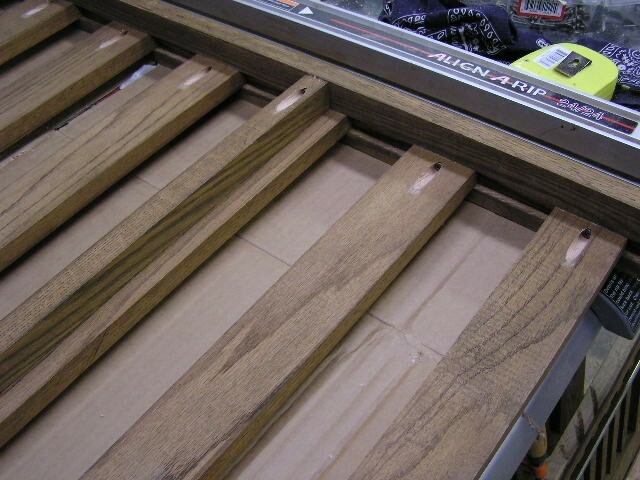 This required cutting a very exact jig and using my neighbor Mike McMullen's plunge router (which I had never operated before - quite a lot of fun really) to gouge out 3/4" deep tracks. I had to do a little fine tuning on that with a file. 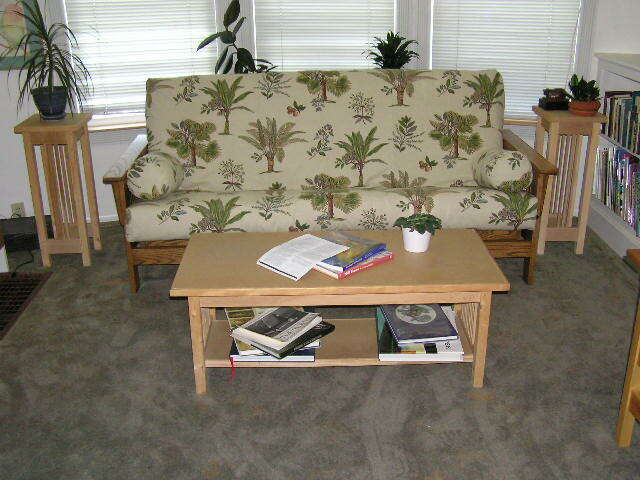 We had the mattress and bolsters made at the local Dream On Futon store; that's also were we got the covers. 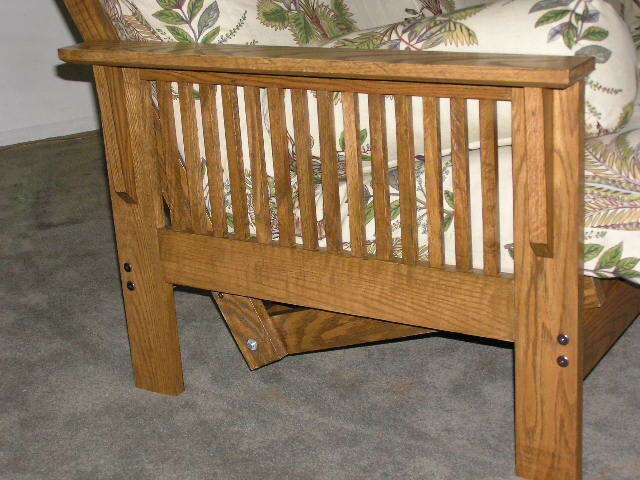 The stain is Wood Kote's Jel'd Stain "Heritage Oak" -- I should note that with our humidity here I let all stains dry for three days before applying the same company's clear satin finish (two coats). Very nice project. I'm grateful for help throughout this project from my neighbor Mike McMullen and from my former shop teacher Michael Flaherty. 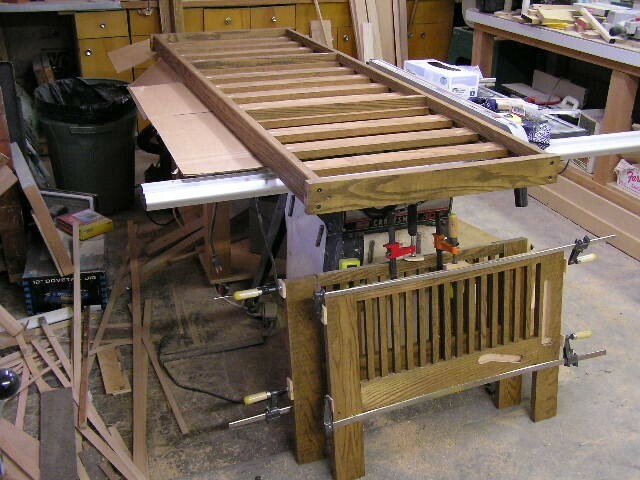 I bought the wood on August 31 (I had to buy two boards for the leg stretchers because the original piece I bought arced badly when I sawed it in two for those). 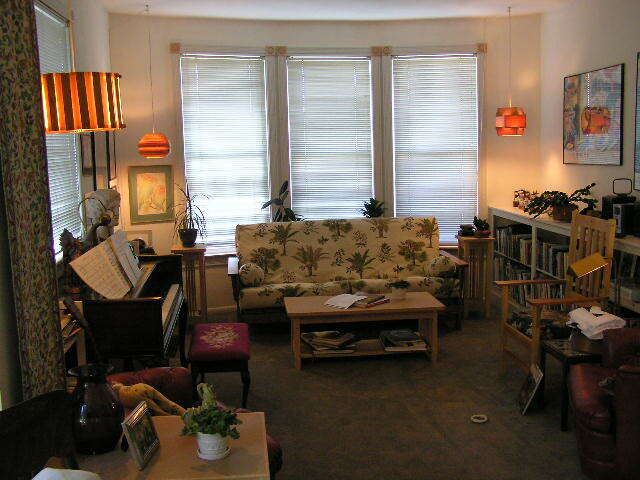 The finished product made it into my living room room on October 12.